I know a lot of people saw Gravity while it was in theaters and maybe the amazing imagery was just so incredible on the big screen they could overlook the horrible storyline and pretty sad acting. I however, saw Gravity sitting on my couch at home and even though I think my TV is great and I really enjoy watching movies on it, all I could think about was how horrible this movie is! First of all we weren’t given enough backstory to even care about the astronauts. 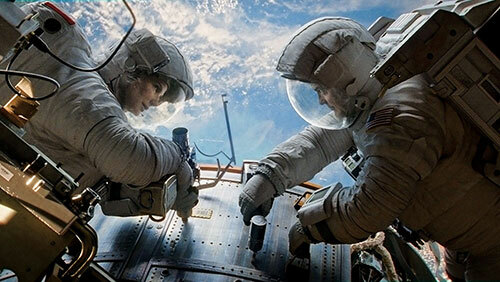 Secondly Sandra Bullock’s character seemed rather stupid, like she just wandered in and somehow got sent into space. George Clooney’s character was all cool, laid back Texas cowboy – too much of that actually. I mean it’s totally unrealistic that he would be so cool as he’s floating off into space and certain death. Bullock’s character seems totally clueless as to what she’s doing in space, even though you would think an astronaut would get some training on something as simple as holding onto tools. The fact that she lost her daughter and has nothing left to live for is really weird considering how hard she has to fight to survive. Nothing about this story made a lot of sense. I won’t deny that the imagery was pretty amazing, but after watching the entire movie, I can’t tell you a single thing I saw, but I can tell you that Bullock’s constant heavy breathing reminded me of a creepy phone call I once received. I was just super disappointed in this movie and I needed to tell everyone! I feel better now!